Most people think you need to spend a lot of money in order to get a reliable, comfortable, fun trike. Let me tell you about a trike that dismisses this myth. I�m talking about the Sun EZ Tad SX. The EZ Tad combines value, comfort, and durability to give you years of enjoyable riding. The first thing you will notice is the combination of a gel bottom and a mesh seat back. It offers a comfortable ride, with exceptional bump absorption from seams and bumps in the road. The mesh's great airflow will help keep your back cool,and an adjustable seat angle allows for fine tuning depending on rider preferences. Comfort and adjustability correlate in many ways, and the Sun EZ Tad has an incredible amount of adjustability, not only in seat angle and position, but also in handlebar position. Seat angle adjustment is handled by a set of pins that lock securely in place by spring levers, so you never have to worry about them falling out or losing them. The seat position on the frame is also adjustable to allow for fine-tuning of the reach. You can easily adjust the reach to different riders using the two quick-release levers under the front and rear of the seat. Ample surface area ensures that the seat does not move, even when the levers are relatively loose. The frame is protected by a set of adhesive plastic strips that allow you to move the seat endlessly without scraping the paint off the frame. The handlebars have angle, height, and distance adjustment, giving you total control and maximum comfort. Trikes and bike are often judged by the number of speeds they have, but what "value" really comes down to is quality of components and build quality. While the Sun EZ Tad has a respectable 24-speed drivetrain, it uses a simple -but proven- derailleur system, giving the rider enough gear range to cruise at near 20 miles per hour, and to make it over those daunting hills. The disk brakes are strong and will easily regulate your speed coming down any hill. Combined with locking levers to aid in mounting and dismounting, the Sun EZ Tad XS will meet your requirements in the realm of convenience. The Sun EZ Tad is a great quality trike. The finish of the paint is top notch and shines like a trike twice the price. Touch-up paint is included for the stock color, but a more durable custom powder coating is available through Utah Trikes. Underneath the paint is a durable Chromoly steel frame, which is re-enforced and triangulated in the rear end for a strong, yet forgiving ride. Sun has been building trikes for a long time and it shows by their use of common, yet reliable cartridge bearing headset. It's long lasting and inexpensive/easy to repair a part if it should ever fail. 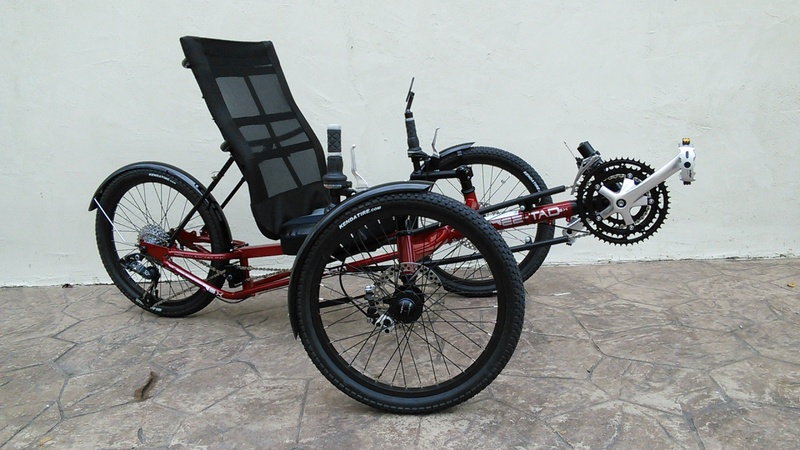 As mentioned before, this trike uses a derailleur system which requires periodic adjustment and regular maintenance. But don't fret. It's as reliable as that old pickup you�ve had since high school. 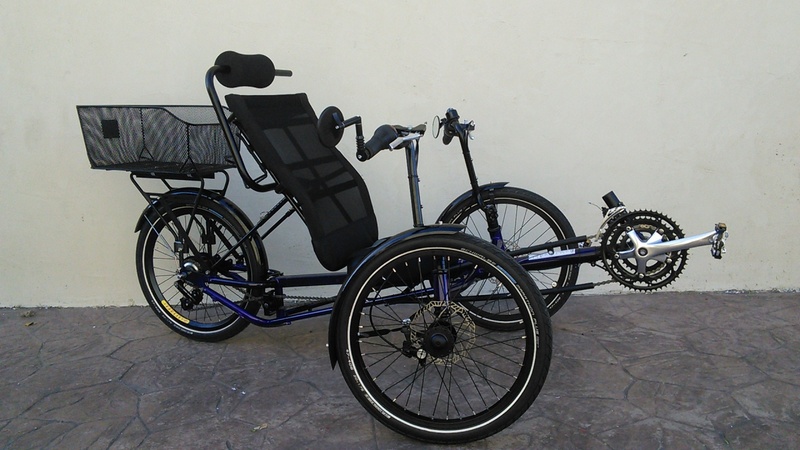 Rideability can depend on a few things or the whole trike as a package. The EZ Tad really does give you everything you need to have an enjoyable time out on the paths and around the neighborhood. The seat is easy to get on and off of, and the controls are adjustable to help the trike fit you. With the maximum comfort you'll be enjoying, you can focus on your ride instead of annoying handlebar hangups or uncomfortable pedaling positions. There are many many trikes on the market, and every company wants to tell you why their trike is better. Sun has been producing trikes for a long time and doesn�t rely on flashy advertising. 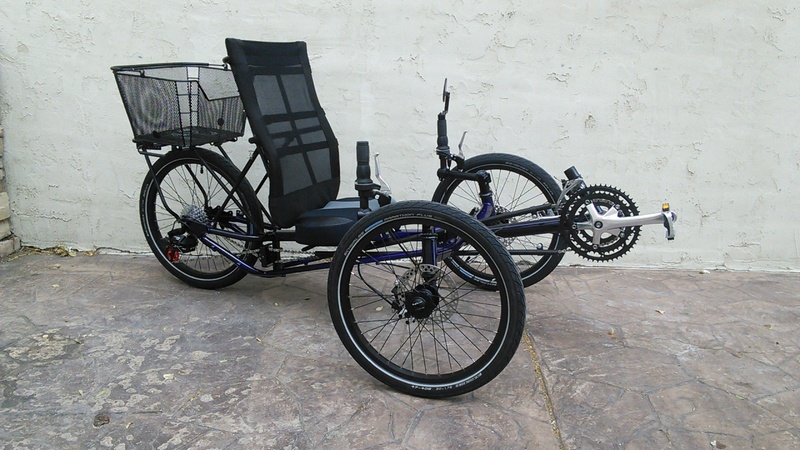 They rely on good quality, budget-oriented trikes with an emphasis on comfort and rideability. While you won�t win any races with this trike, you will be able to rediscover cycling in a fun, comfortable, and stable fashion without breaking the bank.